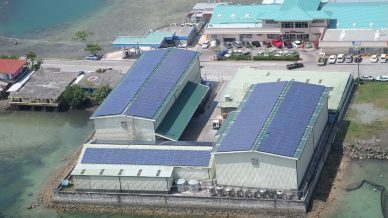 A grid-connected photovoltaic (PV) system is installed on the rooftops of commercial facilities (220.5kW on a warehouse in Subproject 1 and 150kW on a supercenter building in Subproject 2). 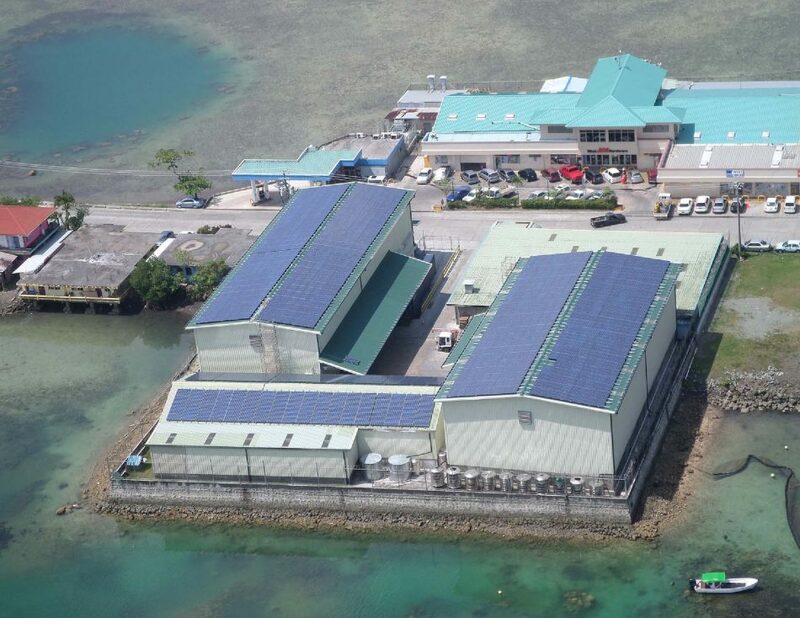 This project uses high quality PV modules of a Japanese manufacturer and general-purpose inverters with easy maintenance suitable for small-scale applications. The power generated by the PV system is normally consumed in-house. When there is a surplus, it is supplied to grid. Taking into account the recent large typhoons, PV modules with strong wind resistance are introduced.